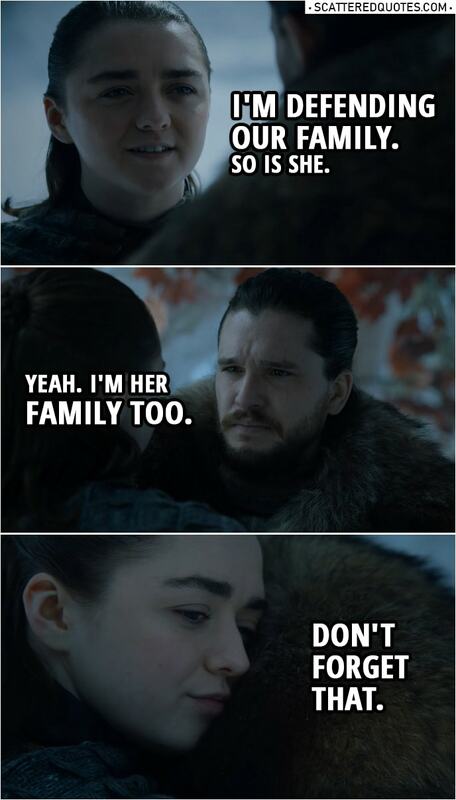 Jon Snow: Sansa thinks she’s smarter than everyone. Arya Stark: She’s the smartest person I’ve ever met. Jon Snow: Now you’re defending her? You? Arya Stark: I’m defending our family. So is she. Jon Snow: Yeah. I’m her family too. Arya Stark: Don’t forget that. 15.4.2019 I’m defending our family. So is she.